L-R: Chan Dixon, Tanya Milton, Joe Driggers, and Mike Polack. 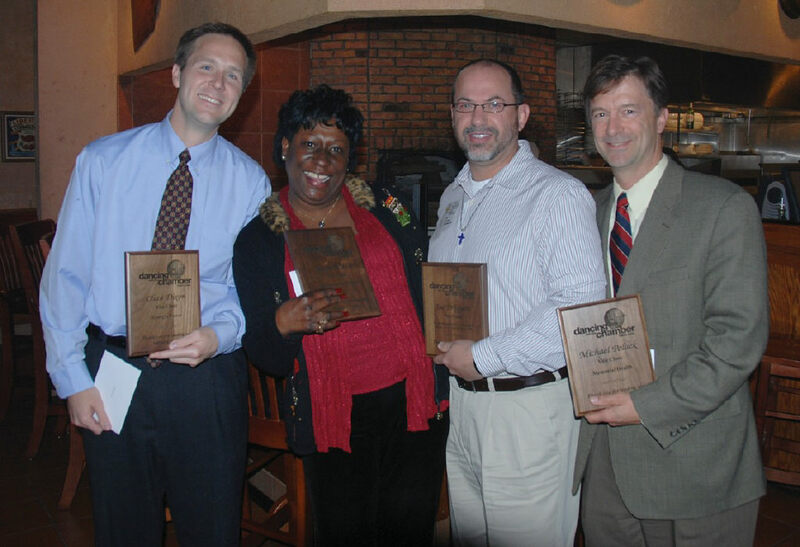 The Savannah Area Chamber of Commerce has wrapped up its 2008 Total Resource Membership Campaign (TRMC). After a successful campaign, the Chamber’s membership staff and volunteers achieved a production total of $570,574 in memberships, renewals and sponsorships which will go towards the Chamber’s program of work for 2009. The campaign brought in a total of 136 new members to the Chamber. The Chamber thanked the Team Captains and Vice Chairs and especially Co- Chairs Mike Viers, President of First Chatham Bank and Diana Morrison, Owner of Advertising Specialty Services for providing outstanding leadership for this year’s campaign. 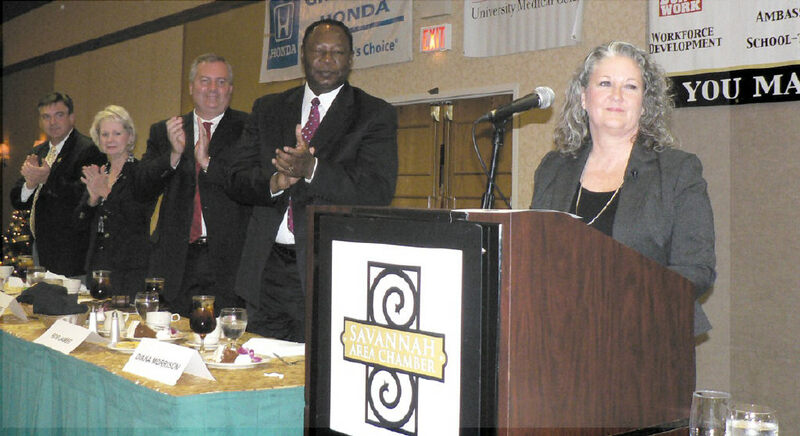 Shown above is Diana Morrison, 2009 Chairman of the Savannah Area Chamber. Board members Robert James, Bill Hubbard, Connie Farmer Ray, and Dana Mark look on. Money Producer: Steve Gilbert, Memorial Health; and Top Producing Team: Memorial Health. On Tuesday, December 9, at its annual meeting, the Chamber bid farewell to the 2008 Chamber Board Chair Steve Green of Stephen Green Properties and welcomed new 2009 Chamber Board Chair Diana Morrison of Advertising Specialty Services. “In its 203rd year, our Chamber will continue its initiatives by addressing issues we face that directly affect our local economy,” said Morrison. She noted that its a long list of issues that are affecting the economy, but its not too big a task for an organization that is made up of volunteer business professionals who know how to roll up their sleeves and help. For more information on the Chamber’s 2008 Campaign, please contact Mayra Lopez at 912.644.6459 or mlopez@savannahchamber. com. For more media information, please contact Melissa Yao at 912.644.6431 or myao@savannahchamber. com.